The birth of a pearl is truly a miraculous event. Unlike gemstones or precious metals that must be mined from the earth, pearls are grown by live oysters far below the surface of the sea. Gemstones must be cut and polished to bring out their beauty. But pearls need no such treatment to reveal their loveliness. They are born from oysters complete — with a shimmering iridescence, luster and soft inner glow unlike any other gem on earth. 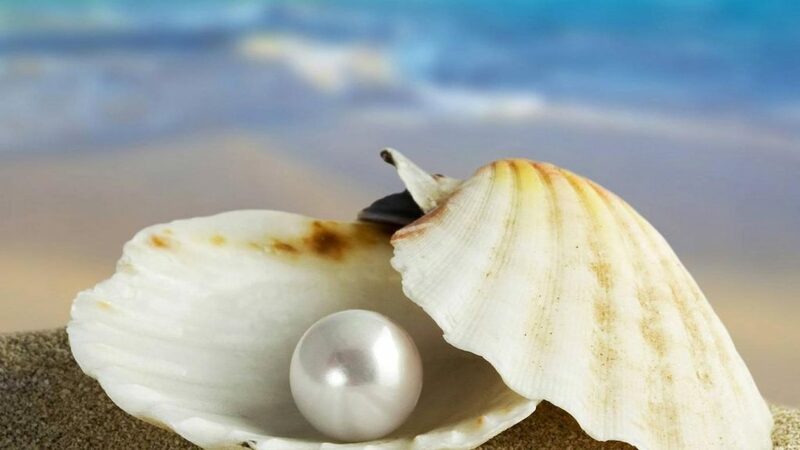 A natural pearl begins its life as a foreign object, such as a parasite or piece of shell that accidentally lodges itself in an oyster’s soft inner body where it cannot be expelled. To ease this irritant, the oyster’s body takes defensive action. The oyster begins to secrete a smooth, hard crystalline substance around the irritant in order to protect itself. This substance is called “nacre.” As long as the irritant remains within its body, the oyster will continue to secrete nacre around it, layer upon layer. Over time, the irritant will be completely encased by the silky crystalline coatings. And the result, ultimately, is the lovely and lustrous gem called a pearl. Cultured pearls share the same properties as natural pearls. The only difference is a person carefully implants the irritant in the oyster, rather than leaving it to chance. We then step aside and let nature create its miracle. Today most pearls are cultured, the culturing process takes from two to three years and is a very delicate process. The pearl farmers have little control on what the pearl will look like or if the mollusk will reject the nucleus. The end result is ultimately a consequence of nature. Pearls come in two main categories: freshwater cultured pearls and saltwater cultured pearls. Various types of pearls are the result of different oysters used, the environment in which they live, and different cultivation techniques used by the pearl farmers. Freshwater cultured pearls are grown in lakes and rivers, whereas saltwater cultured pearls are grown in bodies of saltwater such as bays. Australia, Myanmar, Indonesia and other Pacific countries produce most of these fine pearls. South Sea pearls typically range in size from 10mm to 20mm and are valuable because of their rarity and large size. White South Sea pearls tend to be the most expensive cultured pearls. 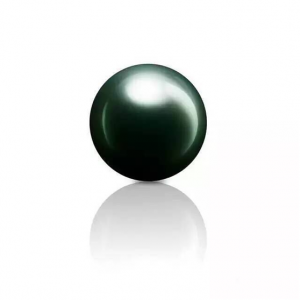 Tahitian or black pearls are produced by the black-lipped oyster in French Polynesia. 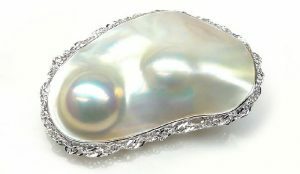 Colors can be light silver, gray, yellow bronze, green with pink overtone, and peacock with a natural prism of colors showing across the surface of the pearl. The pearls range in size from about 10mm to 15mm. Akoya pearls are cultured saltwater pearls farmed mainly in Japan and China. The Akoya pearl is prized for its deep luster. They range from 2mm to 10mm in size. Akoya are the pearls used in most necklaces. Common Akoya colors are white, yellow, pink, and cream. Freshwater pearls can be found in bays and rivers throughout the world. Their unique shapes and colors and attractive prices have made them popular.Freshweater pearls come with a variety of shapes,round ,semi-round,oval and beautiful baroque.Freshwater pearls have a rich range of colors,such as white,orange,rose and purple,etc.Today,95% of total Freshwater pearls in the world are produced in China. Mabe pearls are hemispherical cultured pearls grown against the inside shell of an oyster. Mabe pearls are typically used in settings such as earrings or rings that conceal their flat backs. Mabe pearls are grown in Japan, Indonesia, French Polynesia and Australia. 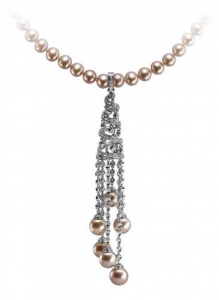 Mabe or half pearls range from light pink to rose to bluish in color. Luster is a combination of surface brilliance and a deep glow. The luster of good quality pearls should be bright. You should be able to see your reflection clearly on the surface of a pearl. It is probably the best expression of a pearl’s beauty. It implies the structural beauty of the nacre. 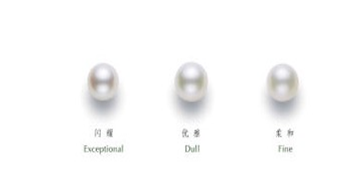 We grade pearl luster in three levels: dull, fine, and exceptional. All the factors that disturb the surface smoothness of the pearl and hence decide its appearance are called blemishes and imperfections (also called spots or flaws). The quality of the pearl is greatly affected by blemishes. Pearls with higher luster conceal blemishes better. 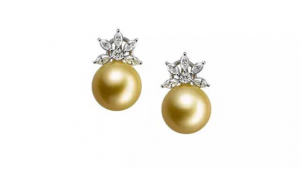 There are three pearl shapes including symmetrical, spherical, and baroque. The spherical is the rarest and most desirable. 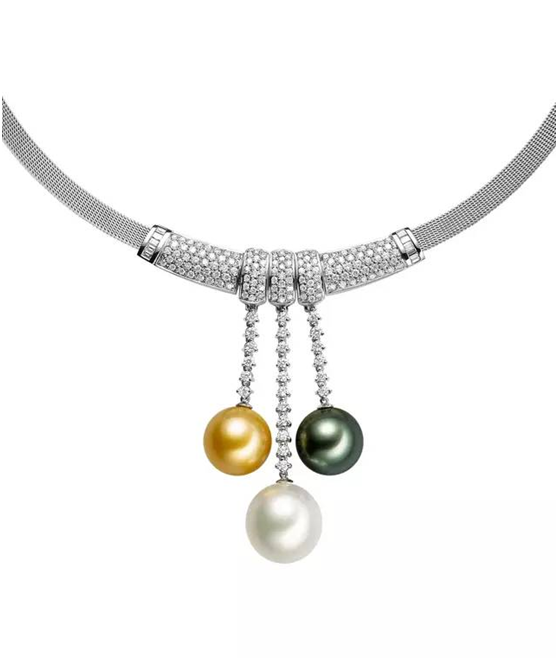 Symmetrical pearls include teardrop or pear-shaped pearls and are desirable. 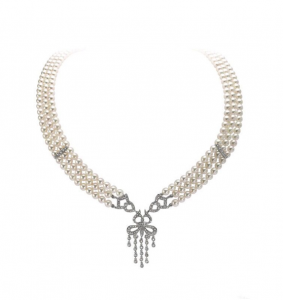 Baroque pearls are irregularly shaped and often the least expensive. We grade pearl shape into four levels: Semi-baroque and baroque, Off round, Slightly off round, and Round. 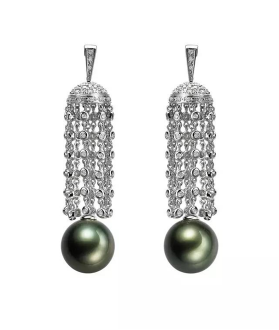 Pearls are measured by their diameter in millimeters. Tiny seed pearls can be smaller than 1 millimeter, while South Sea pearls as large as 20 millimeters have been found. If all other factors (nacre, luster, surface, shape and color) are equal, the size of a pearl will determine its value. Only a 1.0mm increase in pearl size is a substantial jump in both appearance and value. Pearls come in a variety of colors, from white to black and every shade in between. Pearl color is a combination of body color and overtone. Body color is the predominant basic color of the pearl. Body colors include white, light pink or pink, light cream, and dark cream, yellow or golden. Overtone is one or two colors that overlie the body color. Within each color category, there are a number of common overtones, or subtle variations in the surface iridescence. Choosing your preferred overtone is a matter of taste. Sorting and matching is also important for every piece of pearl jewelry,all the above factors ought to be considered when it becomes a piece of beautiful jewelry. Because of their delicate nature, special care must be taken fro pearls. Cosmetics, perfume and hair spray all contain chemicals that can dull the luster of a pearl. The natural acids contained in body oils and perspiration can damage pearls in the same way. It is best to put your pearls on after applying makeup, perfume and hair spray. Wiping the pearls with a soft damp cloth after you wear them will ensure that they remain free from harmful build-ups of these compounds. Periodically, pearls should be washed with a mild soap. Always keep your pearls separated from hard jewelry items, to prevent them from being scratched. Pearls are best kept in a soft cloth pouch or a soft lined jewelry box or compartment. If you wear your pearls often, they should be restrung about once a year to prevent strand breakage， or you should verify that they are securely mounted on your jeweler. The string should be knotted between each pearl to prevent all the pearls in a strand from falling off should a break occur. Knotting also keeps the pearls from rubbing against each other.